Volcanoes, Earthquakes and Tsunamis is a fascinating guide to these powerful natural hazards. Is this the right book for me? 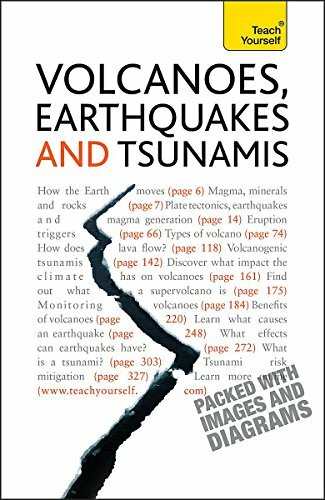 Volcanoes, Earthquakes and Tsunamis is the essential guide to what causes the most frightening geological events with which we are faced today. It covers plate tectonics, the intricacies of each terrible phenomina, and their effects as well as the impact they have on each other, how they can be predicted and, if possible, controlled. Volcanoes, Earthquakes and Tsunamis includes: Chapter 1: Introduction Chapter 2: How the Earth moves Chapter 3: Family relationships Chapter 4: Types of volcano Chapter 5: Volcanic hazards Chapter 6: Volcanoes and climate Chapter 7: Monitoring volcanoes Chapter 8: Living with volcanoes Chapter 9: Tectonic earthquakes Chapter 10: Living with earthquakes Chapter 11: Tsunamis Learn effortlessly with a new easy-to-read page design and interactive features: Not got much time? One, five and ten-minute introductions to key principles to get you started. Author insights Lots of instant help with common problems and quick tips for success, based on the author's many years of experience. Test yourself Tests in the book and online to keep track of your progress. Extend your knowledge Extra online articles to give you a richer understanding of the subject. Five things to remember Quick refreshers to help you remember the key facts. Try this Innovative exercises illustrate what you've learnt and how to use it.